Pharma Futures has recently published its new Pathways to Value: Pharma in a Changing World. The Pharma Futures series was created in 2003 to allow institutional investors to hods a sustained dialogue with senior pharmaceutical managers on how they are seeing and responding to challenges in the external operating environment. 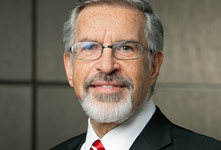 Leonard D. Schaeffer was a participant interviewee for the most recent publication offering his insight on the future of the pharmaceuticals industry.